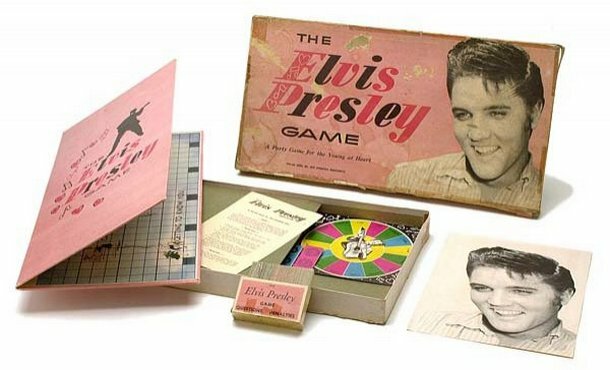 This game is almost as rare as the Elvis Presley portrait paint set (found HERE!). Less than half a dozen in good shape are known to have survived since 1957. 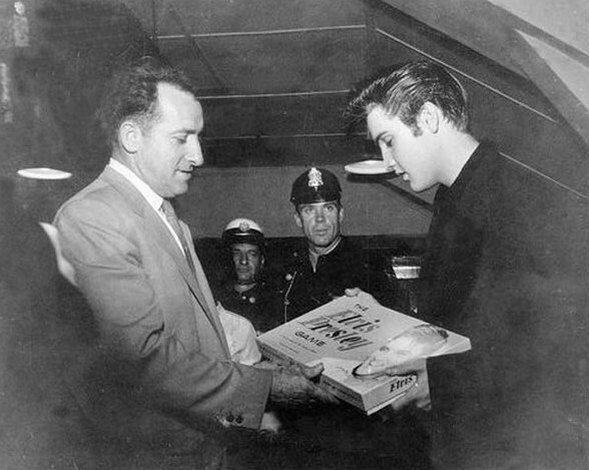 Elvis was handed his copy while backstage at the Sports Arena in Philadelphia, on April 5th of 1957. Cool box design for sure! 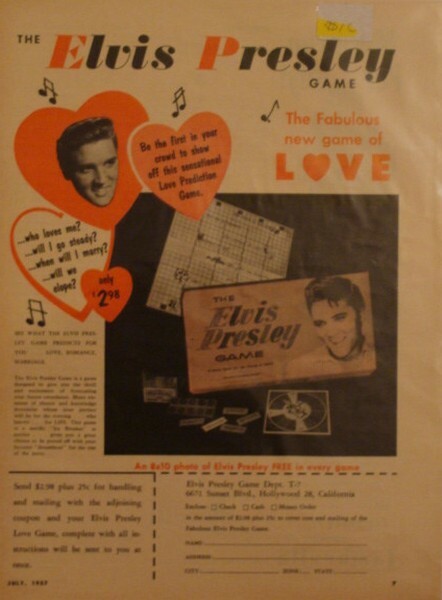 Above we see a full-page ad for the Game, it includes the order-slip. To the right we get a bit less quantity for a bit more quality (the order-slip is missing), but I wanted to share this anyway because of it’s rareness. 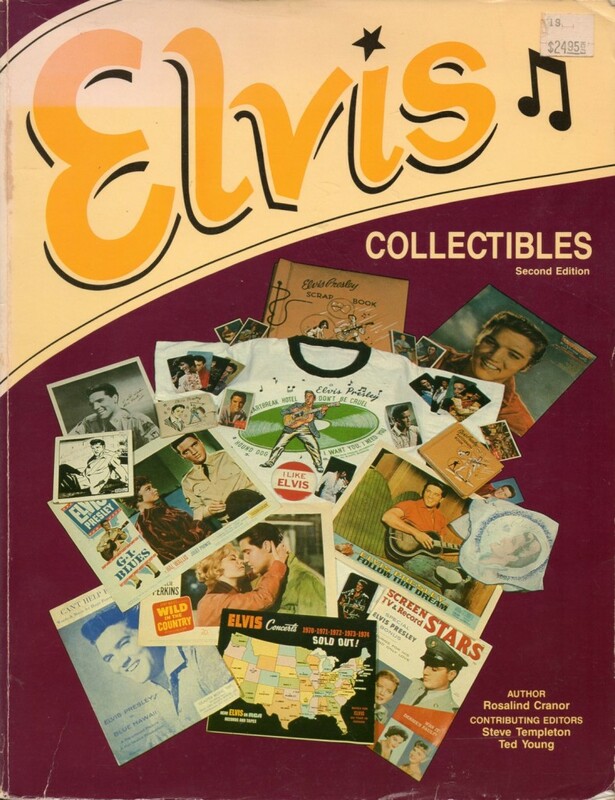 This page is scanned from the book Elvis Collectibles (2nd edition). And even though this book is from 1987, it was already valued at a staggering $800. Fantastic piece of memorabilia. I can only dream of getting one of these super rare pieces. 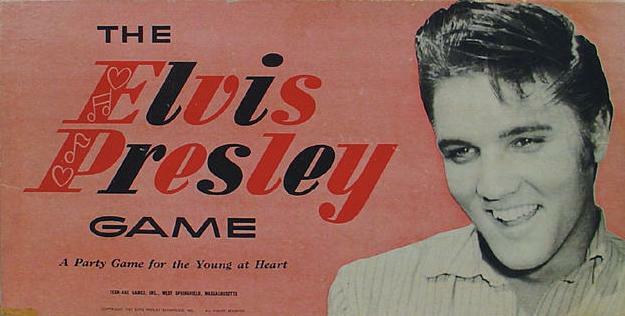 It’s one of those Elvis products that you only see in books. Thanks for showing the box open. Thanks, Jim. As the old saying goes: nothing beats an open box! Great topics. Looking forward to the Japanese topic. Keep up the good work my friend. Never seen this beauty before. think it’s a excellent made modern made piece in vintage style …? Whatever the case, it’s a kool piece and deserves a place in this topic. The poster was part of the original topic you compiled. I’ve updated this article with the scan from the book. 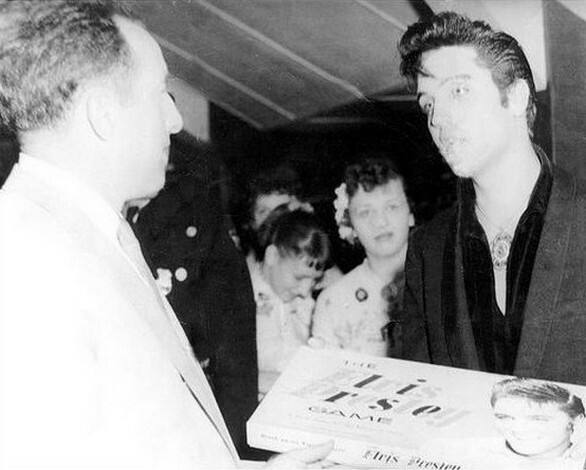 That book btw, is loaded with info and pics (mostly b/w and of minor quality) dealing with all sorts of rare EPE and RCA memorabilia. I should have thought about that book much earlier. It really holds a wealth of information. Yes, I do remember sending you the Penneys poster, Bob. But the rumour about it being an original one (or not) dates from the time after we’d split up… By the way, what book are you referring to in your comment? 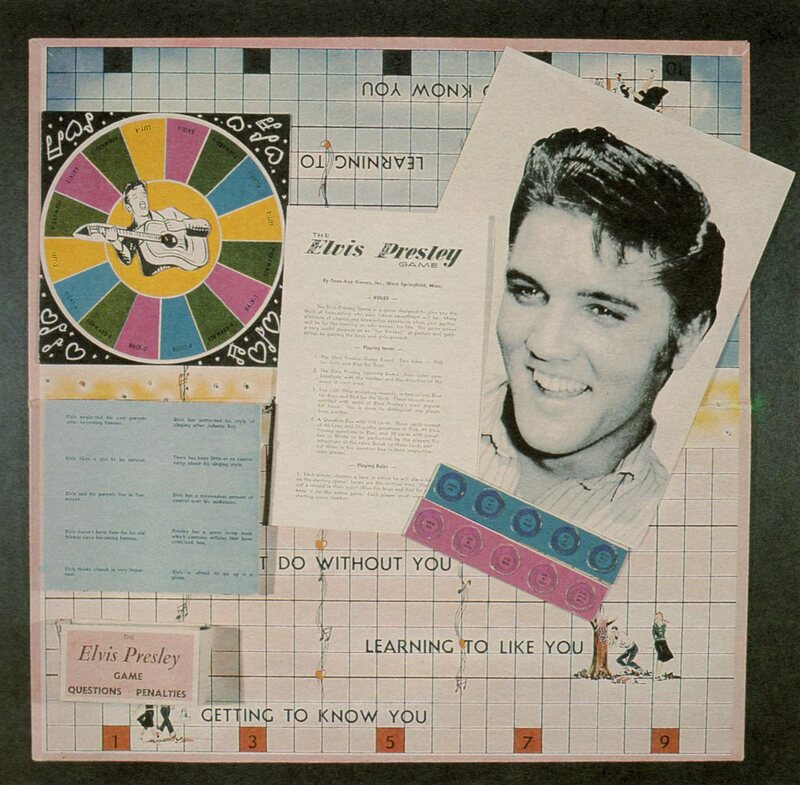 There are so many books dedicated to Elvis memorabilia…? It must be one I’m not familiar with, having discovered the Penneys posters myself, sold at various auctions on the internet earlier this year? Weirdly enough there is not much info about this book on the web, so I’ve scanned the cover and placed it in the lower left corner of this topic for you to see. It has 400 pages, 1st edition was in 1983, this 2nd edition is from 1987. I just noticed the $ pricetag, so I guess I must have brought it home from one of the US-trips. One of the most beautiful things about this book is that it does not hold any of the trash memorabilia that was produced in the last 20 years or so. Ger – Here’s a update on the game’s value. 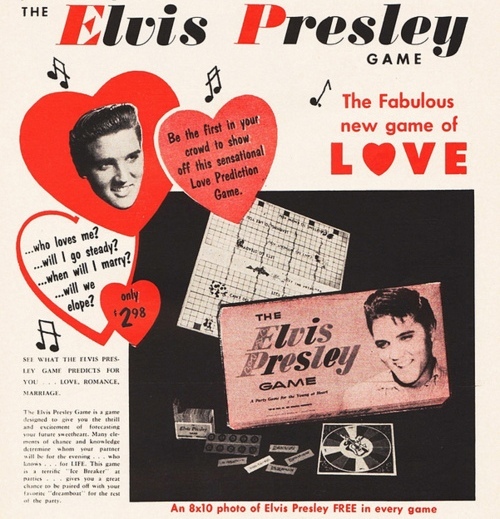 The Elvis Presley Game appeared at Heritage Auctions’ Elvis Memorial Signature Auction in August 2012. 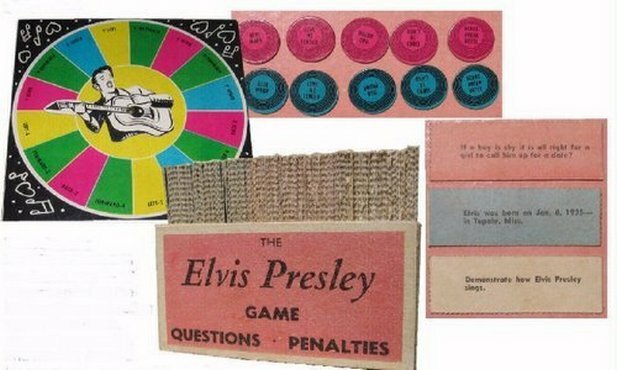 I think the biggest EPE 50’s items are this game, the paint by numbers set, the doll (my least favorite), and the sneakers. Especially if you have them in their box. Happy hunting! Don’t overlook the 1956 EPE wristwatch ( with or without the little box it came in). 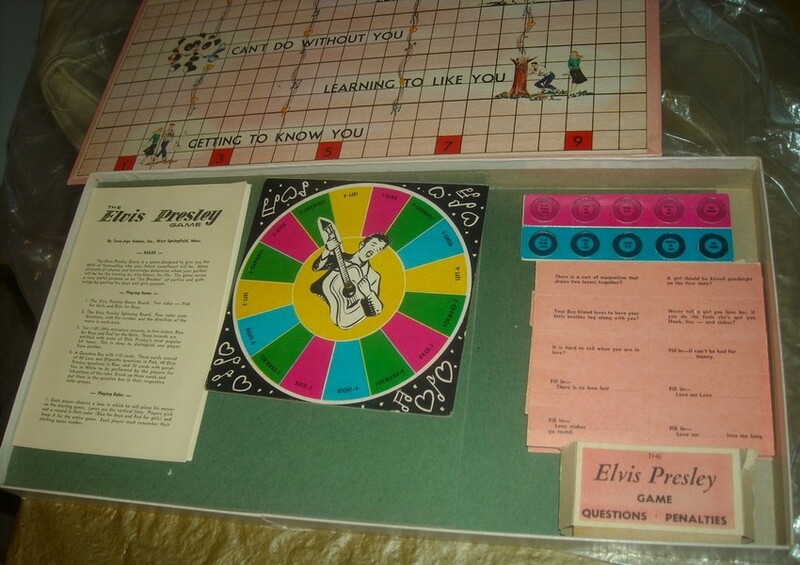 My grandma had this board game! When she moved from her house to an apartment she gave away a lot of things including this game. Did not realize it was so rare/valuable! 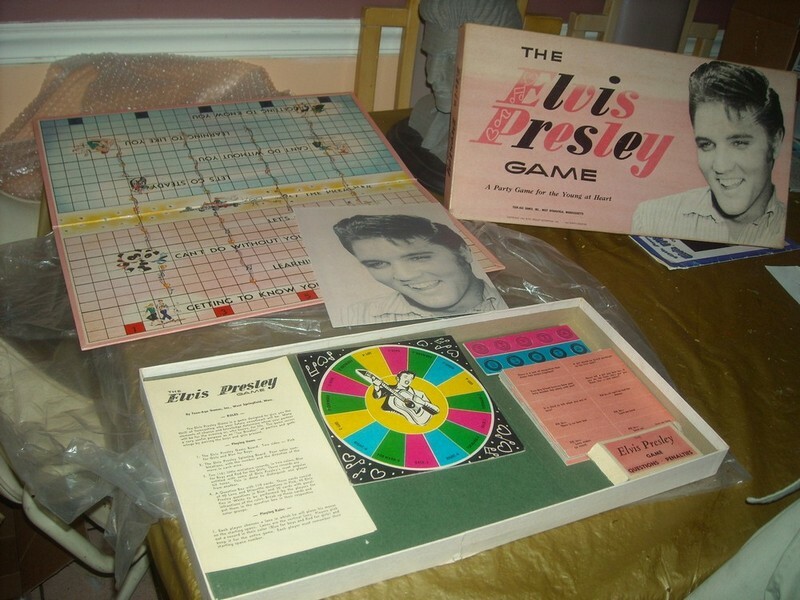 I have inherited an Elvis Board Game in great condition.